To celebrate the upcoming release of "THE BASEMENT" in theaters and On Demand Sep 14, here's a clip. 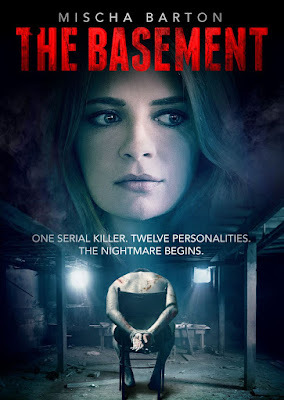 A film the critics say is full of “shock and surprise” (Flickering Myth) and is “cinematic and compelling” (OC Movie Reviews), "The Basement" stars Mischa Barton (“The OC”, The Sixth Sense) in a new Uncork’d Entertainment release from Brian M.Conley and Nathan Ives. Craig is abducted and wakes up in a basement. His captor, Bill, is a twisted serial killer who wishes to reenact his own capture, with Craig playing the part of Bill and Bill playing everyone else. As Bill tortures Craig, he cycles through a number of personas, all while Craig tries desperately to find a way into Bill's pathology in order to save himself. This first clip features Barton’s character.